Now this was quite a challenge: creating a series of seven TV commercials and accompanying print and web materials to promote Instant Lottery and its variety of scratch-and-win games. A challenge in itself was the task to film all seven TVC’s in one single day. We found the solution… out there. Playing Instant Lottery is a kind of impulsive, random act of optimism, so our intention was to create a goofy concept that balances on the verge of absurdity. Scratch-and-win games offer a chance to instantly win an „astronomical“ amount of money, but in order to win—you need to scratch. So we came up with a story of an astronaut, all alone in space, trying to reach and scratch the lottery ticket. In zero gravity that is not such an easy task, yet his eternal, maybe even unfounded optimism pushes him to persevere in spite of all odds. 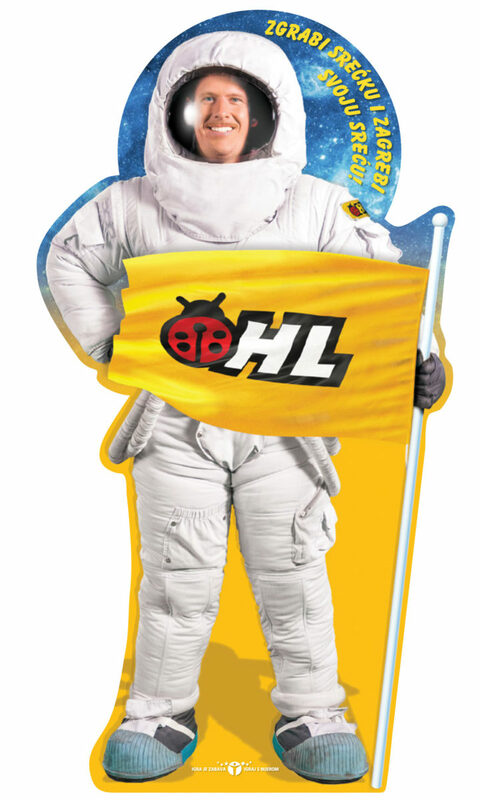 Our aim was to create a character that recalls the glory days of space race, when first astronauts were the icons of popular culture, and the enthusiasm about exploring „The Final Frontier“ was making us proud of being a part of human race that dares to literally go above and beyond in order to gain a deeper knowledge. There was a lot of humor to be mined there, visually and narratively. Early on, not only due to budget and time constraints, we decided to lean in to poetics of exploitation movies, to create some sort of a self-aware low-budget „trashy“ charm where not everything is polished, least of all the visual effects. That was our way to additionally accentuate the absurdity of the whole concept. We found the perfect guy to incorporate the inate goofiness of our story in local actor Igor Pečenjev who easily downplays his classic good looks with a biting sense of humor and irony. Casting him, we finally found our „Grebonaut“ („Scratch-O-Naut“) and it was up to director Vanja Vascarac and his crew to bring him to life and nurture his development throughout the whole series. First two TVC’s are now finally on air. 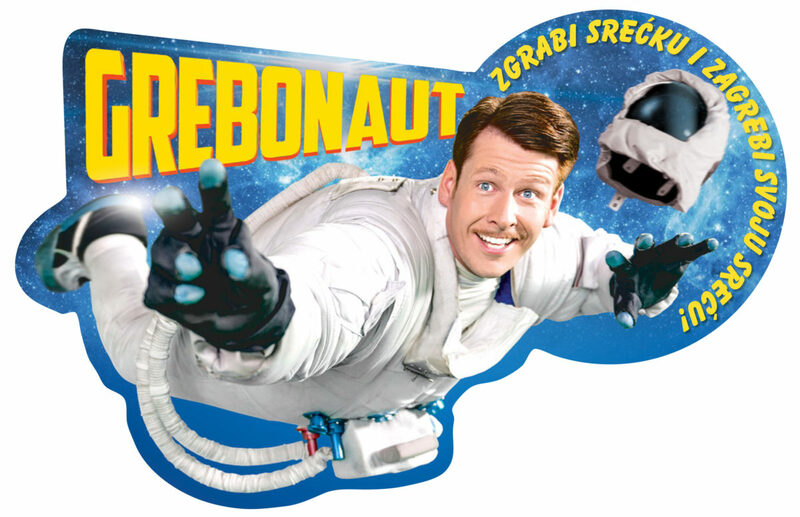 The first one, promoting the game „Lova do krova“ („Money To the Roof“), introduces the whole concept of our Grebonaut reaching for the ticket in zero gravity. 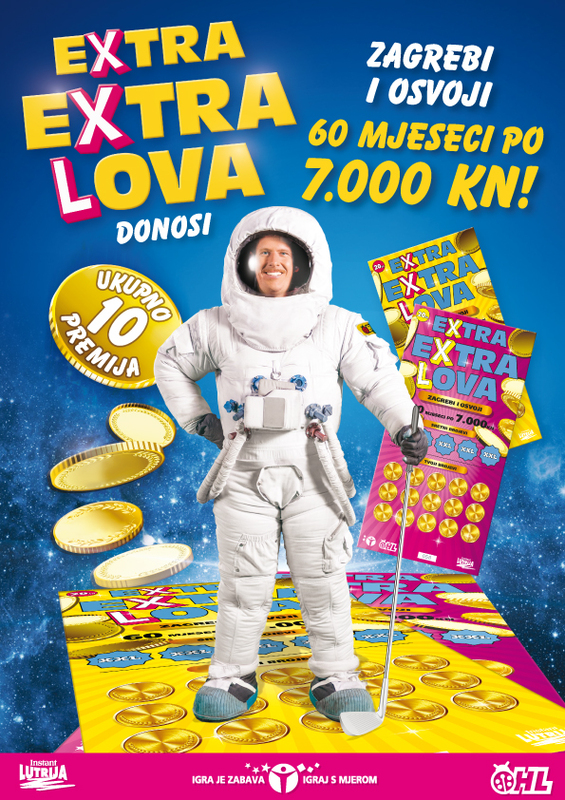 The second part of the series promotes the game „Božićna srećka“ („Christmas Ticket“), so we decided to give our Grebonaut a Christmas party-of-one in space, with the tree, lights and presents—and, of course, the lottery ticket that’s just beyond his reach. The TVC’s that are about to follow, continue the character development, while being more narratively driven. We look forward to presenting our audience the following five installations of this endearing and quite unique concept that was an utter joy to incept and bring to life. May the Force be with us!